The Sony RX100 IV has some amazing tricks up its sleeve. Aside from its amazing image quality and easy to use menu, it boasts 3 amazing features unmatched by most other cameras - 960fps slow-motion video, 16fps high-speed shooting, and 1/32,000th shutter speed. 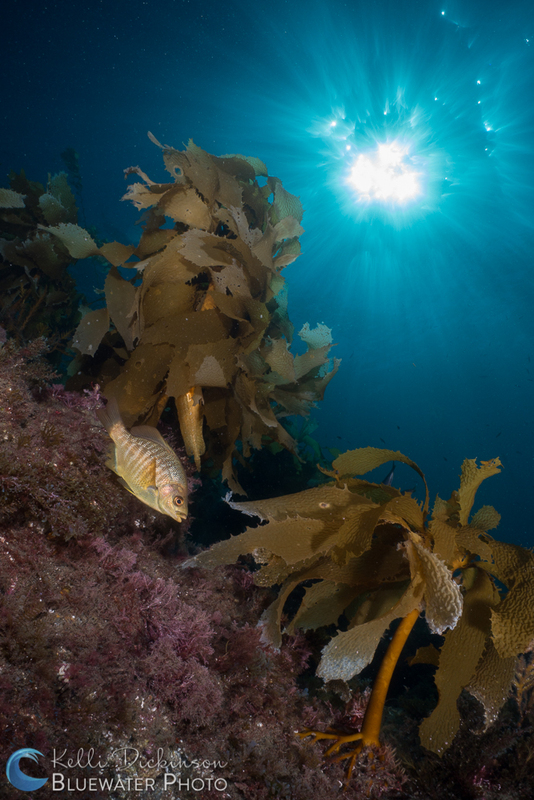 Although the 960fps slow-motion video has some limitations, the quality is fairly good and it will allow you to capture footage that no other underwater rig can capture, as you can see in our underwater video down below. The 16fps high-speed shooting is easy to use by changing the drive mode, and is so fast you have to experience it yourself to believe it. It sounds like a futuristic high-speed Gatling gun, and after using it the first time you want to run around seeking high-speed scenarios to shoot with this mode. The 1/32,000th shutter speed (that is not a typo - it really is that fast) does not need any special mode to access, the shutter speed just keeps going faster and faster. This opens up a whole new world of wide-open aperture scenarios in bright light. 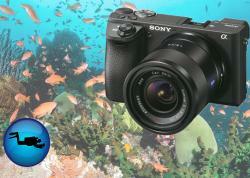 The Sony RX100 line of cameras is one of the most popular options for compact camera underwater shooters. 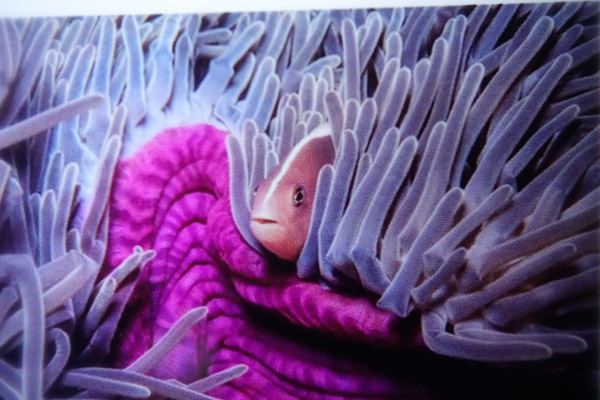 A large image sensor, great feature list and variety of underwater housing options have kept the RX100 cameras at the top of their class. The Sony RX100 IV brings new technology to the series, with a new Exmor RS CMOS sensor. This sensor is stacked with a lightning-fast DRAM memory chip, which reads image data 5 times faster than the older Exmor R sensor. The result is extremely fast electronic shutter capability, which allows for a 16fps burst and video recording at up to 960 frames per second (this means very, very slow motion!). The sensor also records video at resolutions up to 4K. 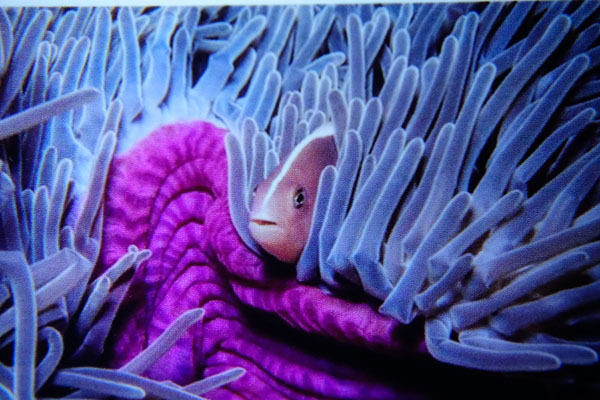 Bluewater Photo store manager, Kelli Dickinson shared the camera with me on a couple dives to create the underwater photos below. We hope these photos show the sensor's dynamic range, camera's nice auto-focus and great overall image quality. If you have the right memory card, the RX100 IV can shoot in 4K, at a 100Mpbs bit rate. In addition, it can also take 2 seconds of 960fps footage in quality priority mode (which we recommend, or 4 seconds in regular mode), that will take 32 seconds to replay at 60fps. An electronic viewfinder is included. This 2.36 megapixel OLED EVF (compared to 1.44 meg in the RX100 III) can be useful in very bright-light conditions. 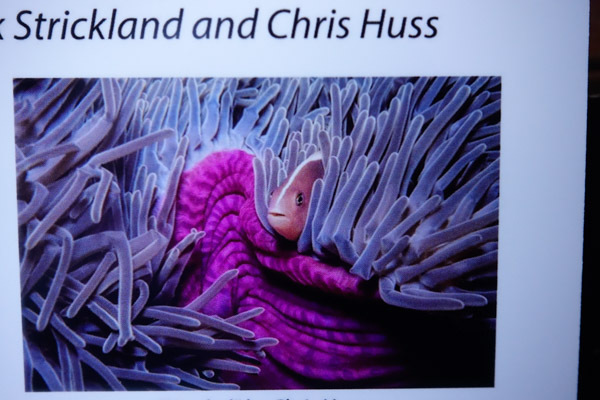 However, the underwater housings do not support the EVF, so this feature is not useful for underwater photos. On land, I've tried the EVF and it is bright and fairly sharp, and will be a welcome addition for certain shooting conditions. New 24-70mm F1.8/2.8 lens is brighter (F2.8) at 70mm than the lens on the RX-100 / RX-100 II. 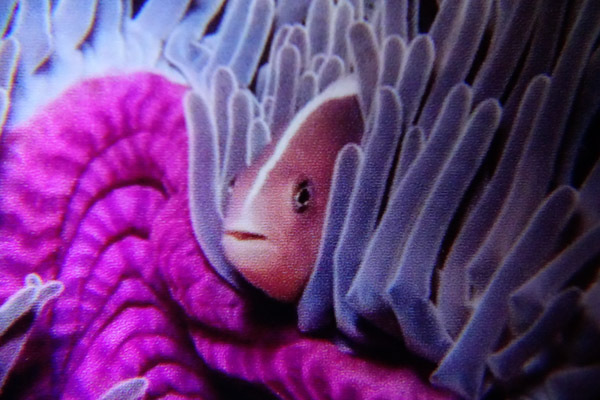 This will be beneficial for low-light shooting indoors, but for underwater photography I actually prefer the longer lens of the RX-100 and RX-100 II. 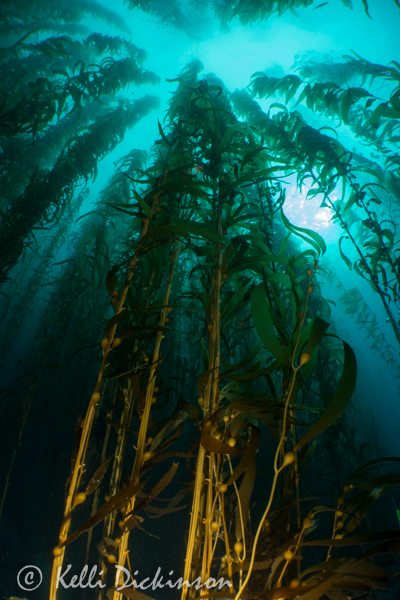 Also, I don't find myself shooting wide-open very often underwater anyways when I zoom in, but on land I do. If you are using your camera for shooting creative waterfall shots, or in extremely bright conditions, then this feature will be quite useful. 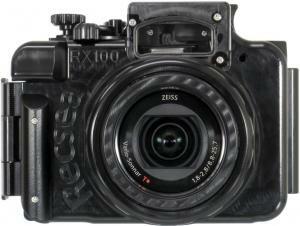 The RX-100 IV is more costly than all the other RX100 models. 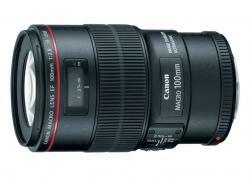 The 24-70mm lens will not give as much magnification as the 28-100mm lens will. The RX-100 can take a photo 3 inches across, the RX-100 IV can take a photo 4 inches across. When using the Bluewater +7 macro lens, I am able to take a photo 1.37 inches wide at maximum magnification with the RX-100. With the RX-100 IV, I can take a photo 1.78 inches across, and I also have a little less working distance with the RX-100 IIV. So while you can still get good macro shots, you get more magnification with the first two RX-100 versions. 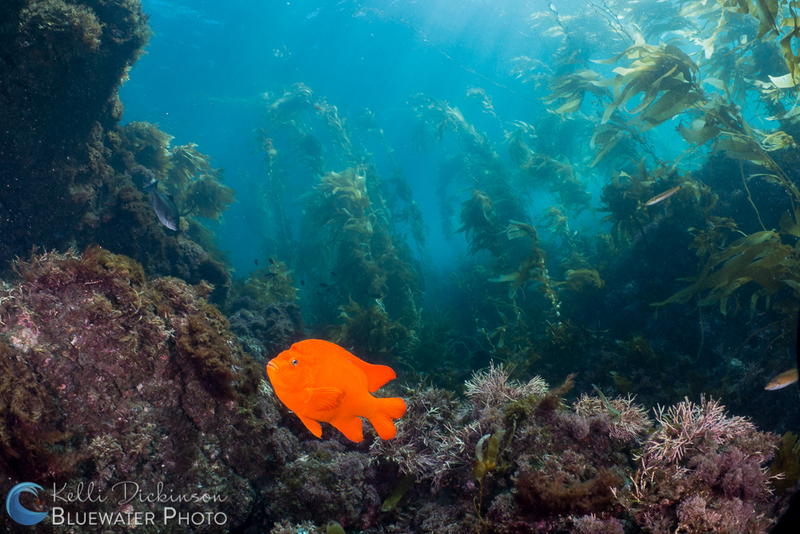 24-70mm lens gives less working distance for shy subjects. 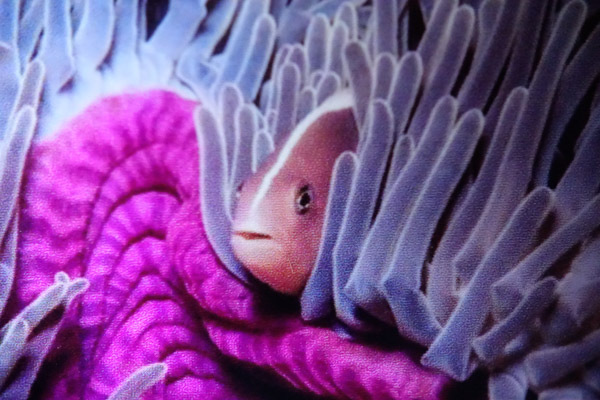 For gobies, mantis shrimp, jawfish, etc. I like to zoom in to at least 100mm, preferable 120 - 140mm. Of course, you can always just crop the photo. If you are using a strobe, you'll have to wait 1 - 4 seconds for the internal flash to recycle, there is no way to turn down the internal flash power like the Canon compact cameras have. You can get optical TTL when using fiber optic cables with the Sea & Sea YS-03, YS-01, YS-D1, and YS-D2 strobes. You can also use the Inon Z240, S2000, or D2000 strobes. TTL works in all modes - P, A, Tv, and manual mode. The DxoMark sensor rating of the Sony RX100 IV is 70, very good for a compact camera. The sensor is rated slightly better than the RX100 II & III, and about equal to the Canon G7X. The sensor rating takes color depth, dynamic range, and low-light ISO performance into account. Although the Sony RX100 IV does not have "1-touch" custom white balance, I did find the custom white balance very good and easy to use. The custom white balance function uses a small circle in the center of the photo to evaluate the white balance, instead of using the entire screen, which is very nice. You can store the white balance setting in 3 different banks. You can't set the white balance in video mode, but you can start and stop video in any of the camera modes so that is not really a big deal in our opinion. The RX100 II and the G7X both have a lens that goes to 100mm, which gives slightly more magnification for macro photos. 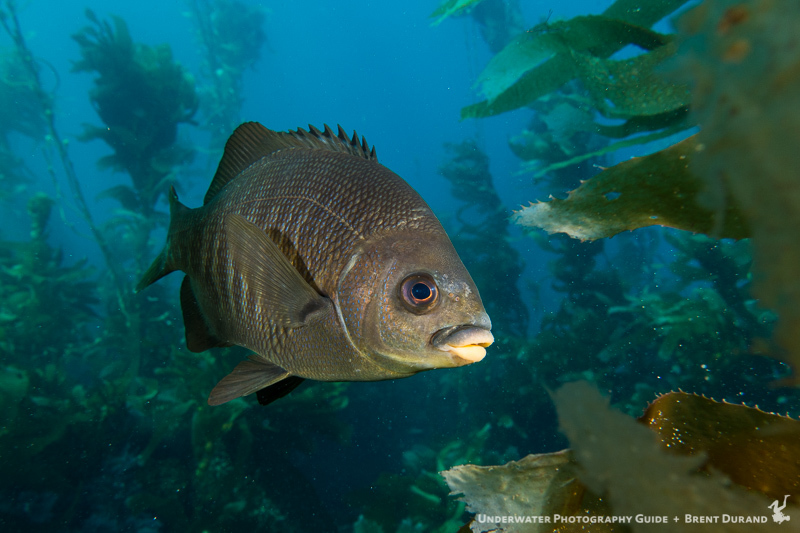 The RX100 II supports the UWL-04 fisheye lens, which can produce more dramatic wide-angle and close-focus wide-angle shots than other wide-angle lenses. Still, the RX100 IV is our preferred choice for wide-angle over the G7X, as the G7X only has good wide-angle options when using certain housings and a special short port. 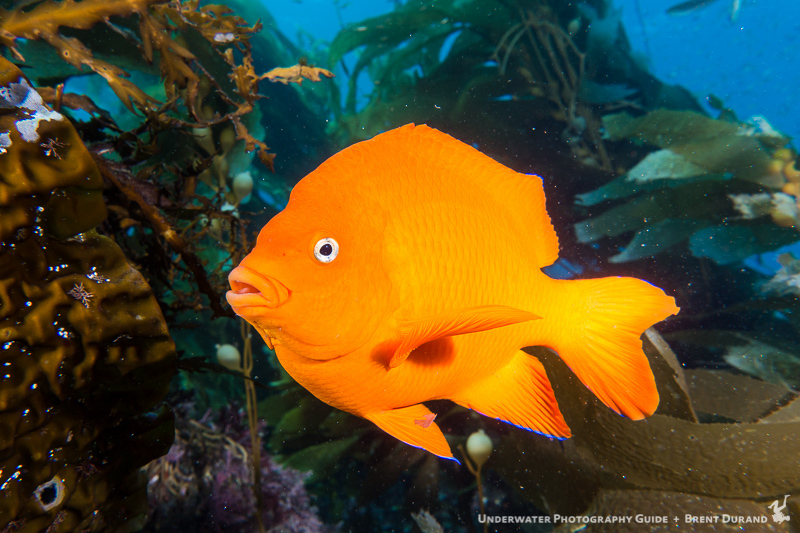 There are four housings available for taking the Sony RX100 IV underwater. Each features a different pricepoint and ergonomics, while all offer a wide range of accessories available through Bluewater Photo. The Nauticam Sony RX100 IV housing is an ergonomic and reliable piece of gear that will stand up to saltwater and the daily rigors of diving. Since the housing accesses all of the camera controls, including the front control ring, the user can take advantage of the enhanced programmability in the RX100 IV. The housing is compatible with a wide range of wide-angle and macro wet lenses and accessories. It includes a leak detector and supports an optional vacuum check system. It also has an additional bulkhead port for HDMI output. It has a 67mm port and can support the Nauticam WWL lens. 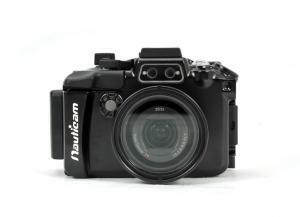 Purchase the Nauticam RX100 IV Housing. Recsea housings are made of high quality machined aluminum with excellent controls and full camera functionality. The Recsea housings fit the camera like a glove, offering the smallest housing on the market without losing any functionality. Easy to use, adaptable with many different wet wide angle and macro lenses, and including strobe connections, the Recsea housing is the perfect tool for taking your Sony RX-100 IV underwater. 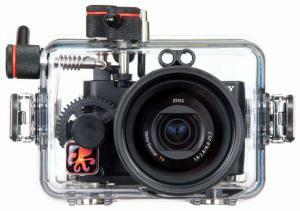 Purchase the Recsea RX100 IV Housing. Acquapazza is a high quality aluminum housing made in Japan. Small and easy to use, it allows for full access to the camera features, with split out button and dial controls. Built in 67mm threads allow for easy attachment of wet lenses. Acquapazza housings are available in a number of different anodized colors. Purchase the Acquapazza RX100 IV Housing. The Fantasea Sony RX100 IV housing is made of tough plastic, creating a lightweight and sturdy housing. Controls are easy to access and very clearly labled. 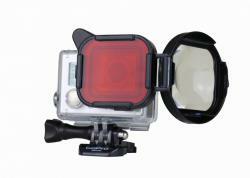 The housing is also compatible with flash accessories, plus wide-angle and macro wet lenses and other gear. A cold shoe mount makes it easy to attach a focus light, video light, a GoPro or other accessory. If you are looking for a lower priced housing, this is an excellent choice. 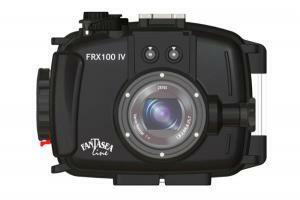 Purchase the Fantasea RX100 IV Housing. 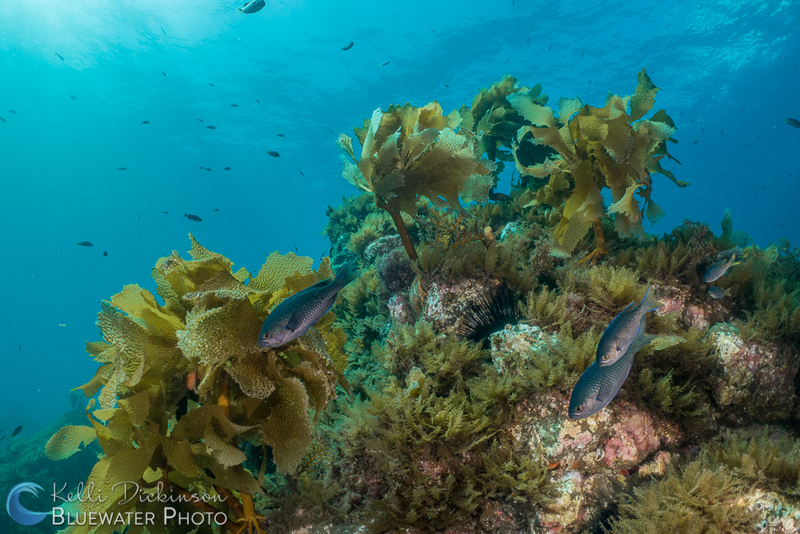 The Ikelite Sony RX100 IV underwater housing is just-right-sized to hold comfortably in your hand, although it is slightly larger than the Fantasea housing. Controls are provided for all important camera functions including the rear dial. The camera's versatile front control ring is gear driven to place the control within easy reach. A sensitive shutter lever makes it easy to half-depress the trigger for focusing and metering. Works with wide-range of lens and strobe accessories. The housing is clear, so you can see inside to check for leaks. 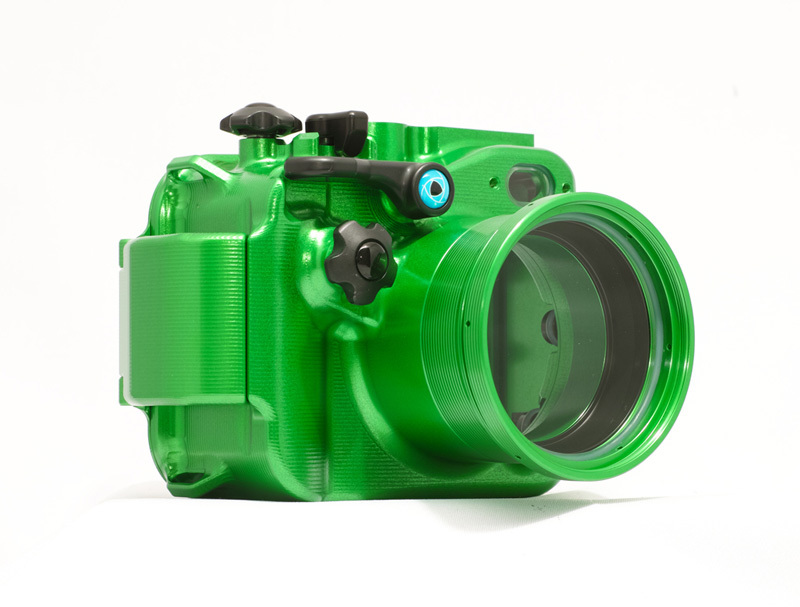 Purchase the Ikelite RX100 IV Housing. These tests were done on land with natural light / auto-white balance, and are designed to show magnification differences between various wet lenses / diopters. 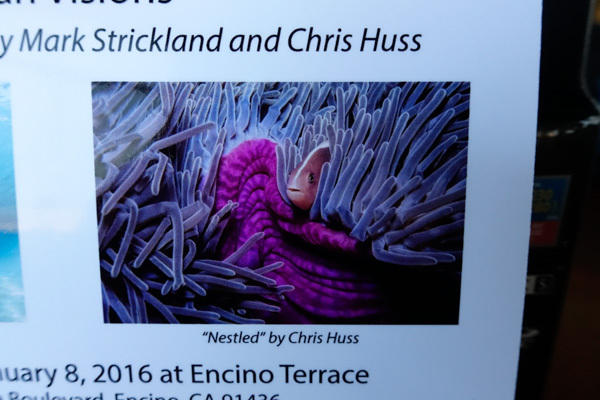 We used a postcard as a subject. Filmed by Scott Gietler and Tommy Stylski of Bluewater Photo at 960fps. 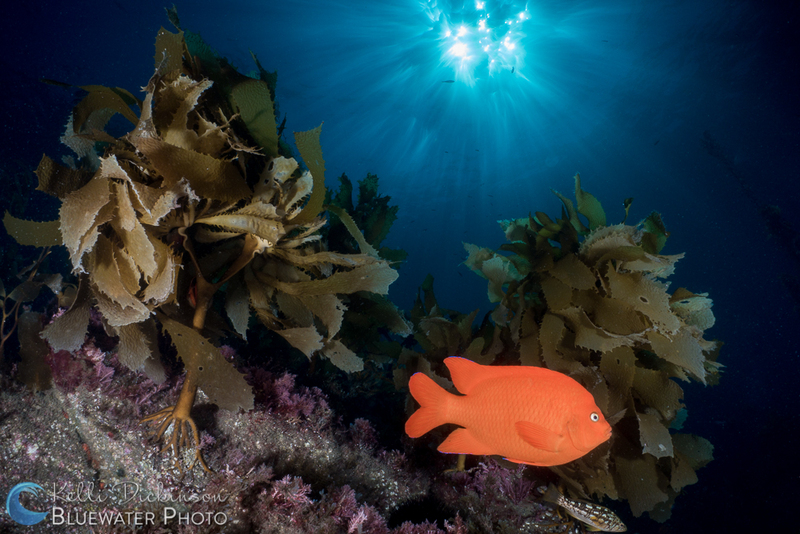 With stunning image quality, amazing high-speed capabilities and a wide-selection of underwater housings & lenses, the Sony RX100 IV is on of the top choices for underwater photographers looking to do great things in a tiny package.